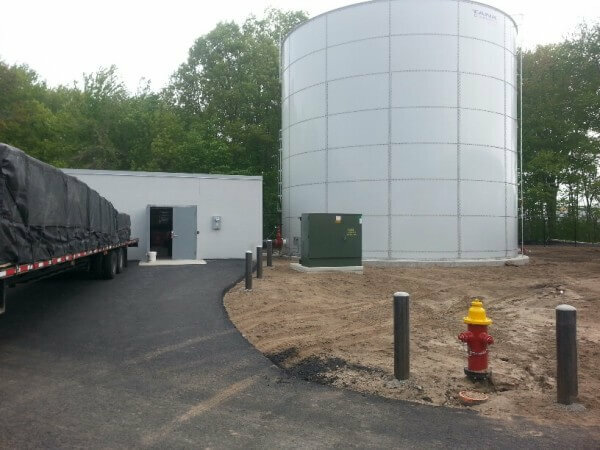 MC&I designed, manufactured and installed the RIDGLOK® Vertical Standing Seam Insulated Panel System on a flat bolted tank located in Windsor, CT designed and utilized for Fire Protection Water Storage. Insulation provides freeze protection for water supply for wet sprinkler systems. RIDGLOK® Vertical Standing Seam Insulated Panel System reduces the energy consumption for tank heaters and lowers utility costs. 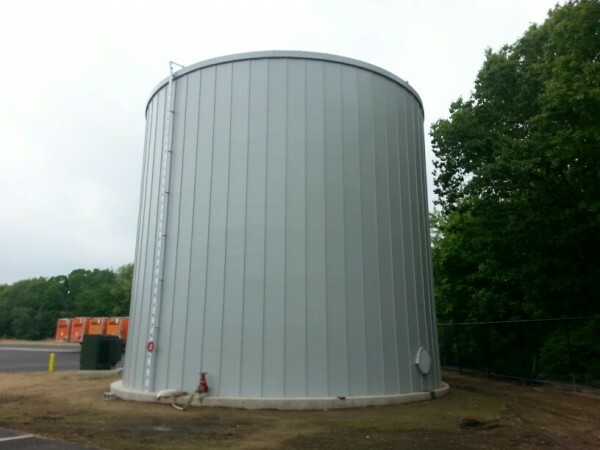 The flat bolted storage tank was a 38.62′ diameter x 35.19′ high flat bolted tank. 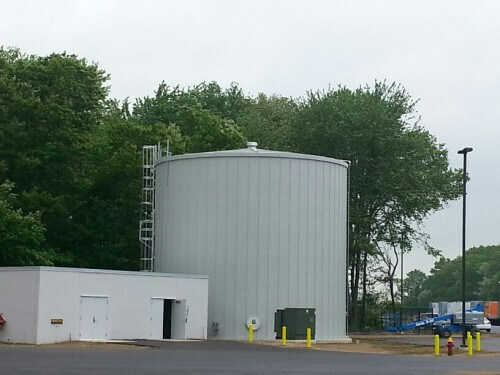 The storage tank insulation project was completed May 23, 2013. The RIDGLOK® Vertical Standing Seam Insulated Panel System consisted of 0.024 stucco-embossed aluminum metal jacketing), in gray, laminated to 2″ (thickness) of polyisocyanurate insulation board. R-value of 13.1 straight panel design roof system.